Situated in the city center, this hotel is close to Big Apple Fun Center, Viaero Event Center, and Trails and Rails Museum. Also nearby are Yanney Heritage Park and Museum of Nebraska Art. 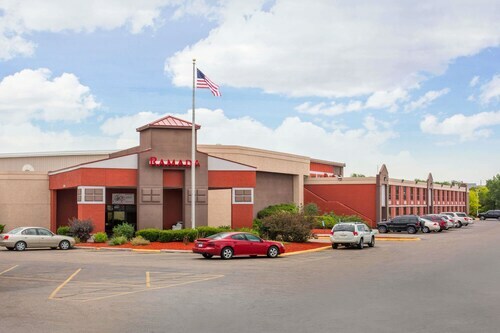 Situated in Kearney, this hotel is within 1 mi (2 km) of Big Apple Fun Center, Viaero Event Center, and Trails and Rails Museum. Museum of Nebraska Art and Yanney Heritage Park are also within 3 mi (5 km). 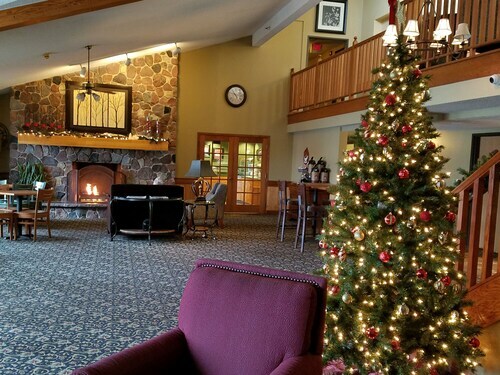 Situated in the business district, this hotel is within a 15-minute walk of Trails and Rails Museum and Big Apple Fun Center. Museum of Nebraska Art and Yanney Heritage Park are also within 2 mi (3 km). 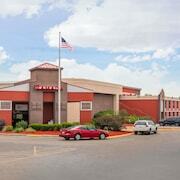 Situated in Kearney, this hotel is within a 15-minute walk of Big Apple Fun Center and Trails and Rails Museum. Museum of Nebraska Art and Viaero Event Center are also within 2 mi (3 km). 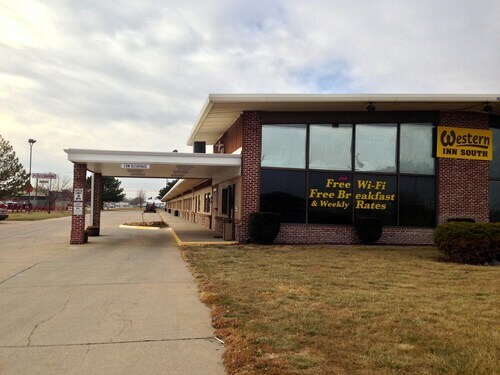 Located in the heart of Kearney, this hotel is within 1 mi (2 km) of Big Apple Fun Center and Trails and Rails Museum. Viaero Event Center and Museum of Nebraska Art are also within 2 mi (3 km). 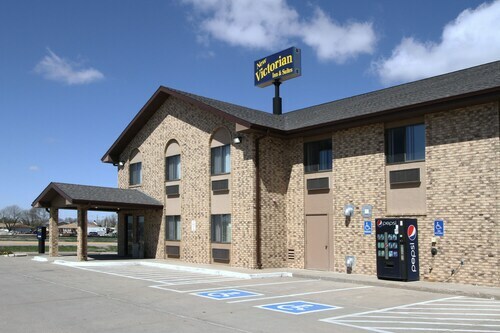 Situated in Kearney, this motel is close to Big Apple Fun Center, Trails and Rails Museum, and Viaero Event Center. Also nearby are Yanney Heritage Park and Museum of Nebraska Art. Located in the heart of Kearney, this hotel is within 1 mi (2 km) of Big Apple Fun Center, Viaero Event Center, and Trails and Rails Museum. Yanney Heritage Park and Museum of Nebraska Art are also within 3 mi (5 km). 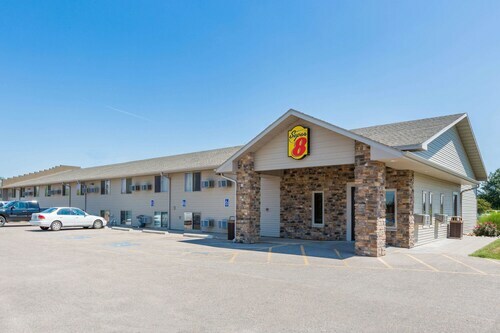 Situated in Kearney, this motel is within a 15-minute walk of Big Apple Fun Center and Trails and Rails Museum. Museum of Nebraska Art and Yanney Heritage Park are also within 2 mi (3 km). How Much is a Hotel Room in Kearney? 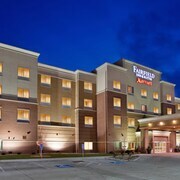 Hotels in Kearney start at $39 per night. Prices and availability subject to change. Additional terms may apply. 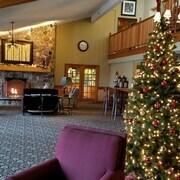 Kearney offers travelers and vacationers a terrific range of ideal hotel and apartment options to choose from. 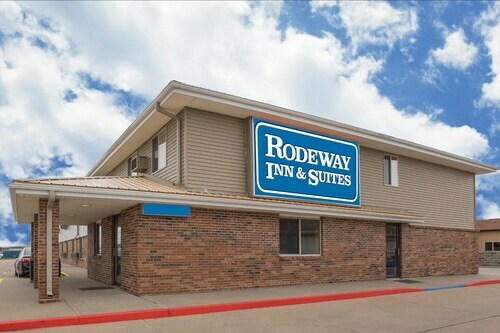 You will find no less than 21 accommodation options within a 6-mile (10-kilometer) radius of the center of Kearney on Travelocity's comprehensive lodging guide. 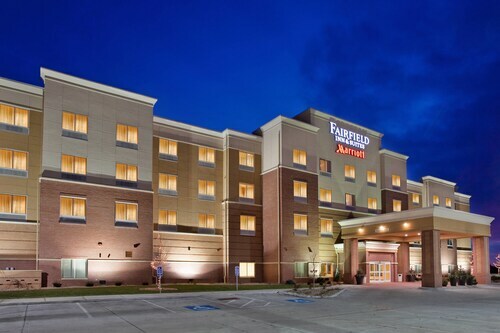 Discover Fairfield Inn & Suites Kearney and Comfort Inn within an easy stroll from Kearney's city center. 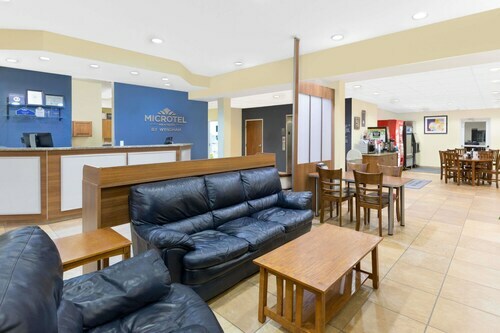 If you are keen to visit Kearney, but have a limited budget and simply hoping to find the more affordable hotels or apartments, our hotel database also has enough economy lodgings to choose from in the area. 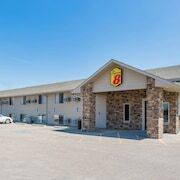 25 miles (38 kilometers) away from Kearney's downtown you'll find the Super 8 Holdrege Ne. 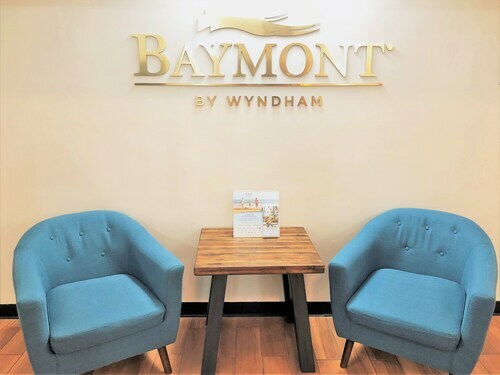 The Microtel Inn & Suites by Wyndham Kearney is just 1 mile (2 kilometers) away. More options in the lower price range are the Boarders Inn & Suites and the New Victorian Inn and Suites. 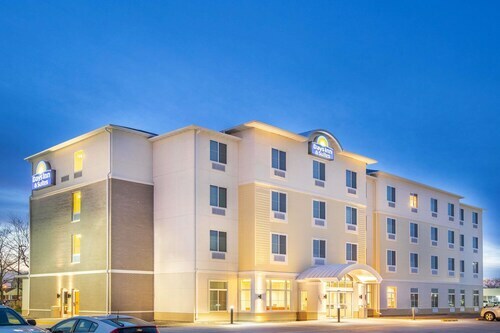 Investigate the Holiday Inn Kearney and the Holiday Inn Express and Suites Kearney. 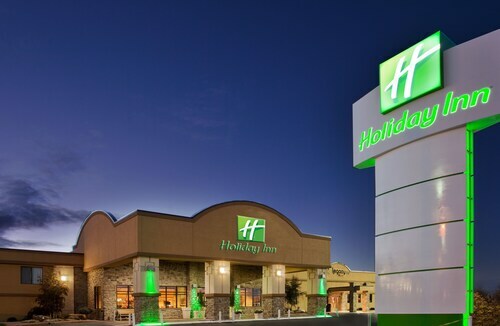 The Holiday Inn Kearney is 1 mile (2 kilometers) from downtown Kearney. 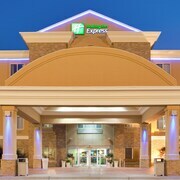 The Holiday Inn Express and Suites Kearney, is 2 miles (3 kilometers) away. 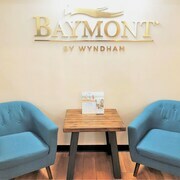 Alternatively, you might like to book the Wingate by Wyndham - Kearney or the AmericInn Lodge & Suites Kearney. While on vacation, why not check out more of the prairies that are common in Central Nebraska? Opt to spend time in some of the other fascinating parts of Central Nebraska. You will love the chance to admire this region's various sights or have a go at camping before you make a booking for a local hotel. 35 miles (56 kilometers) away from Kearney, you will find Lexington, where you can spend the day enjoying Arbor Park and Heartland Museum of Military Vehicles. The Holiday Inn Express Hotel & Suites Lexington-Dwtn/University and Comfort Inn Lexington are just some of the convenient accommodation choices in Lexington. 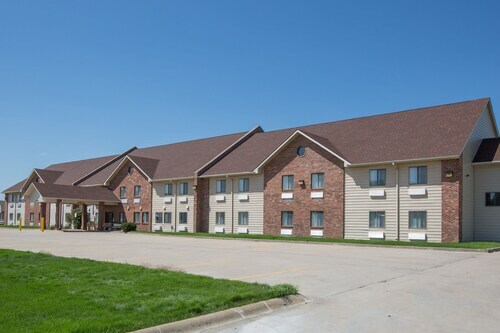 55 miles (92 kilometers) northwest of Kearney, you will find Broken Bow, which is home to the Cobblestone Hotel & Suites -- Broken Bow, NE and Boarders Inn and Suites Broken Bow. The Broken Bow Country Club and Custer County Museum are more frequented attractions to explore when visiting Broken Bow. Look up Travelocity's informative Kearney hotel database to discover the numerous things to do, see and eat that it offers visitors. When we got ready to pull down the sheets to retire we saw that the sheets were dirty and that there was change on top of the sheets we called management and they brought down sheets for us to change we noticed that there was a staying all the way through the mattress. The chair in our room was also stained terribly. Management offered to move us but it was late and we were exhausted so we made the bed. Talking to the management the next day they wouldn't do anything about reducing the rate. We went to breakfast in the chairs were badly stained nobody set down for breakfast the chairs were gross. I've never stayed at such a bad Days Inn and all my life. We had a great stay! Pool and water slides were fun and the staff was outstanding. Clean room with comfortable beds and delicious complementary breakfast in the morning! Lots of places ti eat within walking distance. Room was clean. Good value for the price breakfast is great! Staff friendly. It was a pretty quiet evening we were the only ones that used the pool.